Patchwork check print and a wrap front adds interest to the Este Check Wrapover Print. 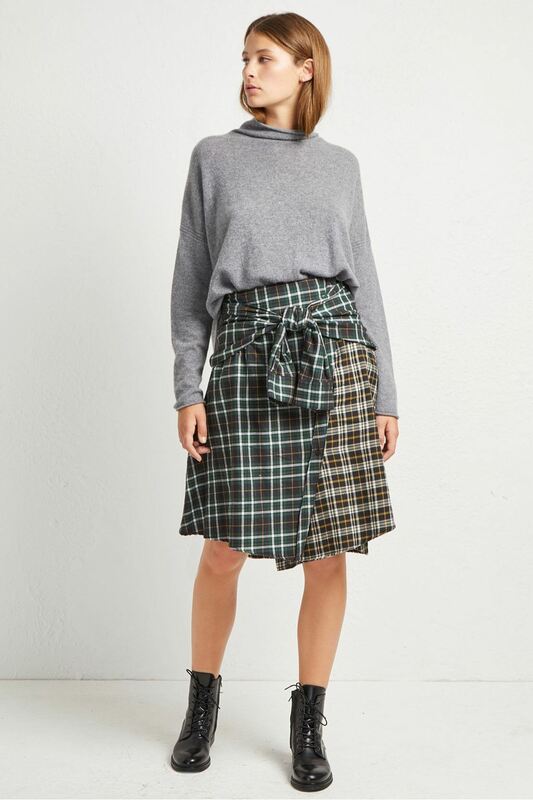 The flattering wrap-front skirt has a large tie front and features patchwork check prints throughout. Patchwork check print and a wrap front adds interest to the Este Check Wrapover Print. The flattering wrap-front skirt has a large tie front and features patchwork check prints throughout. Paired with a cosy grey knit and boots, this skirt will become a cold-weather favourite.